Said system, however, has seen a 10 percent increase in the state’s homeless population over the past three years, according to Wilder Research’s 2018 Minnesota Homeless Study released earlier this month. Wilder deployed thousands of volunteers to conduct more than 4,000 in-person interviews with individuals about how they became homeless and what they need to get back on their feet, which, Leff acknowledged, can’t take into account those who weren’t surveyed. The estimation is that, since 2015, there was a 62 percent increase in homeless who were not in a formal shelter, and the rate of unsheltered children went up 56 percent. Leff told the MSR that as bleak as conditions are for those who can find shelter, it is catastrophic for those who can’t. 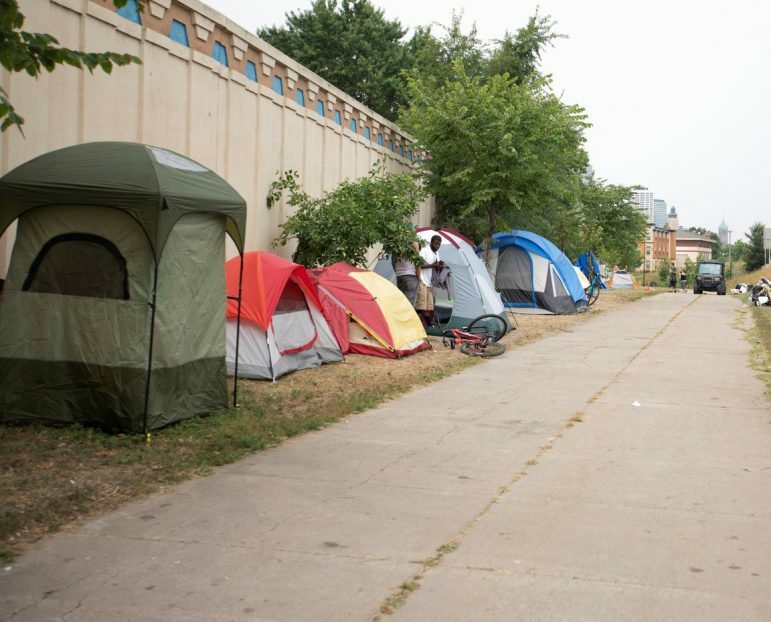 Those unfortunate ones wind up subsisting under bridges, in cars and trucks, and in makeshift encampments like the tent village South Minneapolis saw this past winter, amongst other last-ditch resources. MCH hosted Homeless Day on the Hill on March 13 to publicize the dilemma and bring pressure to bear on politicians holding the purse strings. Among the institutions on hand was Tubman, formerly the Harriet Tubman Center, one of 200 members of Homes for All. According to the center, the vast majority of women who seek shelter are victims of domestic violence. Accordingly, the National Network to End Domestic Violence documented as of 2017 that between 22 and 57 percent of homelessness among women is caused by domestic violence. More than 90 percent of homeless women experience severe physical or sexual violence at some point in their lives, and 63 percent have been victims of intimate partner violence. 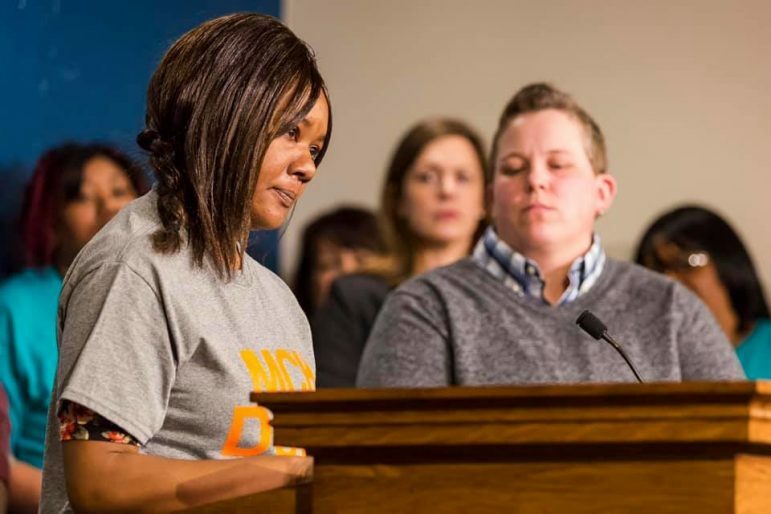 In addition, Wilder reported last year that an estimated 6,000 Minnesota youth subsist on the street with almost half of homeless females having had children and 41 percent trying to care for their young without a roof overhead. The overall picture is also compounded by a problem endemic to society in general: racism. “It’s an issue rooted in systemic racism. [African Americans] are more likely to experience homelessness than their White counterparts,” said Leff. According to the Department of Housing and Urban Development, 63 percent of people experiencing homelessness identify as people of color or Indigenous peoples. The National Alliance to End Homelessness observed in a January report, “The effects of long-standing discrimination linger and perpetuate disparities in poverty, housing, criminal justice, and health care, among other areas. These disparities, in turn, can contribute to more African Americans experiencing homelessness. “Any effort to end homelessness in the United States must address the range of issues that have resulted from racial inequity. This includes assuring affordable, stable housing for all. Systems, programs and individuals that serve people experiencing homelessness should monitor outcomes to eliminate disparities,” according to the Alliance. Leff believes the government’s power structure has let Americans down. “The federal government slashed the HUD budget by about 70 percent back in the ’80s. The modern-day version of homelessness [began] at that point,” she said. As such, the MCH is advocating for legislation to provide $15M every two years for the Emergency Services Program (ESP). ESP, which is the state’s primary source for emergency shelter and services, presently operates on $844,000 annually. The requested funds would go well beyond merely maintaining a status quo that does not meet the rising housing demands; rather, the funds would greatly strengthen efforts to actually reverse and eventually end chronic destitution by providing stable, short-term housing and resources. For Leff, it’s about righting the system’s wrongs. “We’re just setting the clock back 30 years,” Leff told the MSR. To view the 2018 Homeless Study, visit mnhomeless.org. For more info about the MN Homeless Coalition, visit mnhomelesscoalition.org.